Guillaume Azoulay, "Lever De Soleil (Black)" Limited Edition Serigraph with Hand Laid Gold Leaf, Numbered 50/50 and Hand Signed with Certificate of Authenticity. $3,850.00 $900.00 Only 1 Left! 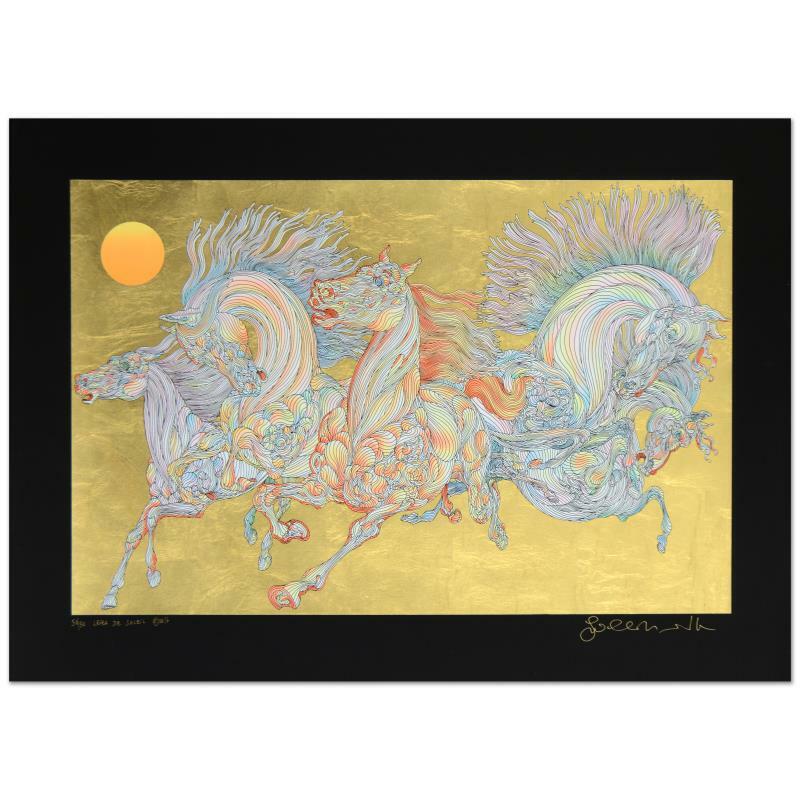 "Lever De Soleil (Black)" is a limited edition serigraph on paper with hand laid gold leaf by Guillaume Azoulay, numbered 50 out of 50 and hand signed by the artist. Includes Certificate of Authenticity! Measures approx. 38" x 27.5" (border)., 32" x 21" (image).